–Are we all becoming autistic astronauts? –Terence’s greatest Rap: Its all about Love, and where to now, Butterfly Hunter? 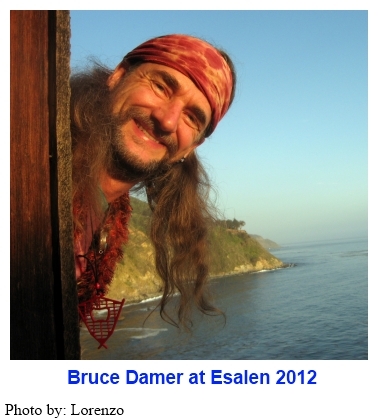 Posted in Autism, Bruce Damer, Burning Man, Consciousness, Fraser Clark, Terence McKenna (mp3). Just now listened to this for the first time and it’s February of 2018. 2011/2012 was such a whirlwind of events and I had no idea what was happening but felt it was big. Sifting through the sands of the past now and they become glossy Pearls like this amazing recording. I recently had a dream where I saw Terence. It was on a dark stormy ocean of nothingness and then there was a ship. The ship made itself known as the constellation Argo Navis. Out of this ship sailed multiple bobbled headed figures. What a gift. Thank you Lorenzo for sharing these recordings with all the world and for keeping our community Dreams Alive. Hello Lorenzo…thank you for presenting this great archive. Nice photo of Damer + good work on the editing! Man, I really enjoyed this podcast. Of course, I enjoy every podcast, but I found Bruce’s talks very interesting, very thought-provoking. He’s still second to Mr. Mckenna in terms of eloquence, but in my opinion, he’s in the same league. I certainly respect and appreciate him, and find him very intelligent. Strangely, despite finding Earth Girl somewhat off-putting in the last podcast, I found her Rap beautiful and inspiring. Thank you, Sister. Thanks again for all your work Lorenzo! I am forever appreciative.